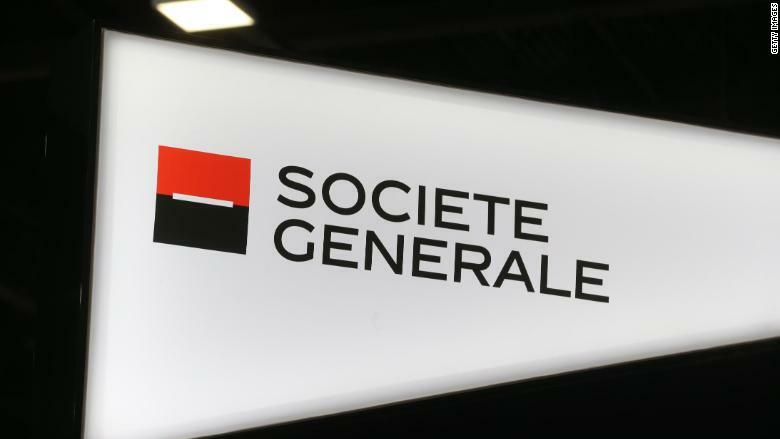 Société Générale will pay more than $860 million in fines for bribing Libyan officials and manipulating a benchmark lending rate. Between 2004 and 2009, the French bank paid $90 million in bribes to a Libyan broker, who then paid Libyan officials, the US Justice Department announced Monday. The scheme allowed Société Générale to score 13 investments from Libyan banks and earn $523 million profit. In addition to a $585 million fine for the foreign bribery case, Société Générale will pay $275 million for manipulating the London InterBank Offered Rate between May 2010 and October 2011. Many loans are pegged to the rate, known as Libor. The bank deceptively suggested it was able to borrow money at better interest rates than it realistically could, making it appear financially stronger and more creditworthy, according to the Justice Department. The manipulation scheme, ordered by senior executives at Société Générale, altered interest rate swaps, futures contracts and other financial products across the globe. Separately, employees also worked to manipulate Japanese yen-based Libor submissions, according to the Justice Department. This is the first coordinated resolution between US and French authorities in a foreign bribery case. The United States is waiving half of the $585 million owed by Paris-based Société Générale. The bank instead will pay the other half to the French government. "The resolution announced today ... sends a powerful message to financial institutions that engage in corruption and manipulation in the financial markets that they will be held accountable," said Richard Donoghue, the US attorney in Brooklyn, New York, who made the joint announcement with other law enforcement officials. Société Générale, one of the largest banks in Europe, agreed to the fine. "We regret these past misconducts, which are contrary to our values and ethical standards that led to these settlements," said Frédéric Oudéa, Société Générale's CEO, in a statement. "Over the past years, we have already taken extensive steps, at our own initiative, to strengthen our global compliance and control framework to meet the highest standards of compliance and ethics." It is expected to enter a deferred prosecution agreement Tuesday afternoon, while a subsidiary will plead guilty in the foreign bribery case.